On Wednesday, Utah representative Rob Bishop, chairman of the House Natural Resources Committee, advanced his National Monument Creation and Protection Act. Deceptively named, the legislation would actually gut the century-old Antiquities Act, which allowed the president to establish national monuments. Bishop’s extremely controversial proposal would also allow for the reduction of those already in existence, including Utah’s Bears Ears National Monument. That monument, established by President Obama in December 2016, has become emblematic of a standoff between national conservationists and small-government/big business proponents. But during this time, Morgan Sjogren, a writer and nationally ranked trail-runner, has quietly been exploring its 1.35 million acres. At this point, it’s possible that she might know the area better than anyone living or dead. While Interior Secretary Ryan Zinke spent only four days in Utah before recommending a reduction in the size of Bears Ears, which had been under monument consideration for decades, Sjogren has logged over a thousand miles in research for her guidebook, The Best Bears Ears National Monument Hikes, will be released in February through Monument Books. With Representative Bishop’s contentious bill in mind, Men’s Journal caught her in an area of decent cell reception to talk about the value of the area from someone who knows it best. 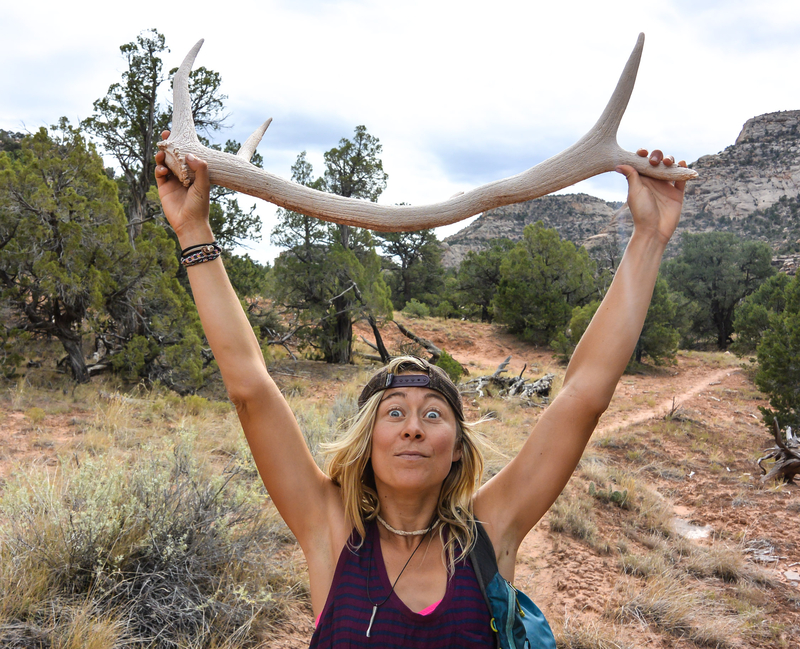 When did you first move to Bears Ears? February—and I wouldn’t say I realized I was moving out there then. I took a break in the summer because I had to do some racing and some travel for work, and then I was back out there until a few days ago. How much of the area would you estimate that you’ve seen? I’ve been to every region of Bears Ears, and I’ve done the majority of classic routes. I’ve certainly seen more than most people get to see in their lifetimes, but it’s 1.35 million acres, and it’s really slow-moving terrain. For example, a 17-mile route, if I’m taking my time and dealing with a number of obstacles, might take me 10 hours. When you think about that in terms of how quick you normally move through terrain, I’m not covering nearly as much as I normally would. I’ve seen a lot, but I also feel like I’ve seen nothing. What’s your most vivid moment in the monument? A few weeks ago I was fast-packing through Dark Canyon, which is about 40 miles long and it starts at a high-elevation plateau just under 9,000 feet and descends into deep red-rock desert canyon all the way toward Lake Powell. I woke up one night cuddling with something, and when I opened my eyes, I had been spooning with a skunk. What’s the biggest thing you think most people don’t understand about Bears Ears? When you’re talking about Bears Ears in particular, it’s not simply about talking about public lands, because so much of it was already public land. It’s talking about the specific monument designation. It all has varying levels of protection that fall under the umbrella of public land. What’s so special about this area specifically? It encompasses every unique geographic feature of Southeastern Utah that wasn’t already encapsulated in a national monument or a national park. It ranges from desert canyon to 11,000-foot mountains. There are sandstone desert towers and dense forests. And it’s one of the densest archeological and historical sites anywhere in U.S.
How has your time in Bears Ears changed you? Just being tough. 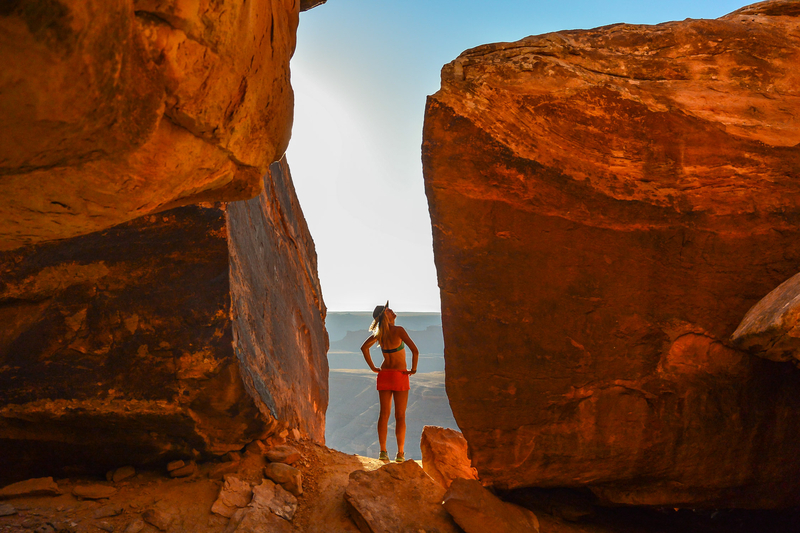 It’s pushed me to become a desert-rat explorer, whereas before I started this, I viewed myself as a runner who dabbled with trails. Now, I feel that Bears Ears and the desert have taken me in and I feel like I’m a part of it. What would be lost if areas like Bears Ears are as dramatically reduced as has been proposed? The biggest risk is to areas that are dense with archeological and cultural sites. A monument offers the highest level of protection for those areas. Let’s say the monument is annulled. All those places are still here. I think Obama’s designation made a statement about how historically, culturally, and archeologically significant the area is for study and also for the tribes that hold the area sacred. If someone has never been to one of these monuments, what’s your recommendation? Go, because I think the biggest statement that anybody can make about public lands and national monuments is to actually exercise their right to go use them. To do that properly and safely, do your research, plan your trip carefully, know what to expect before you go in terms of weather and conditions and routes, and make sure you have maps—a guidebook is certainly a great place to start. Don’t be afraid to take the trip, but know that these are still wild places. Of course, visit with respect and ensure that any cultural or archeological sites or artifacts that you encounter are left in the same condition as when you found them, for others to enjoy and researchers to study. Are you worried about the future of these spaces ? Yes, but I’m optimistic that some sort of compromise can be reached, and I know conservation groups have a really solid plan of attack going forward. And I’m confident that I’ll be a part of that. At this point, Bears Ears is my home. I know a lot of people have spent a lot of time out there, but I’ve just had this rare opportunity to get to know it so well, that it would be foolish for me to walk away and say that my work is done. I have a sense that it’s just beginning.